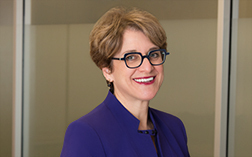 Karen Bamberger is a shareholder with close to thirty years of litigation experience. Her practice is primarily in the areas of product liability and complex litigation. Her litigation experience spans the breadth of defending medical drug and device manufacturers in class actions and in multidistrict litigation, as well as defending manufacturers and sellers of consumer products, to defending motor vehicle drivers in the context of both passenger and commercial vehicle accidents, resulting in the full range of personal injury, including catastrophic injury, brain injury and wrongful death cases, to defending landowners in a wide variety of premises liability cases, running the gamut from simple slip and falls to over service of alcohol to timber trespass to serious construction site injury cases. Her experience also includes a wide variety of defense of other types of claims, including food contamination cases, pesticide application cases and defamation and civil rights cases. Ms. Bamberger has defended manufacturers of a wide spectrum of commercial products as well as those intended for consumer use, including glass panels, heating pads, manway doors to wine tanks, exercise equipment, conveyor machinery, powered industrial trucks (e.g., forklifts, tugs), industrial baby slings, scaffolding, ladders, wooden bleachers, bicycle component parts and paper winding machinery. Ms. Bamberger’s product liability litigation experience also includes the defense of manufacturers of pedicle screws, inflatable penile prostheses, latex gloves, and prescription weight-loss supplements and other prescription medications. She has litigated “anxiety” cases in which plaintiffs claimed they were concerned about the possible future failure of an implanted heart valve. She has also been involved in the so-called “toxic mold” litigation, where occupants of a manufactured home claimed the presence of stachybotrus mold. Her defense experience extends to cases alleging chemical sensitization to formaldehyde by manufactured home occupants, as well as to cases involving claims of exposure to sulfur dioxide and to fumes from copier machines and incorrect application of pesticides leading to crop failures. Ms. Bamberger recently obtained a defense verdict in a King County Superior Court case alleging that her client, a funeral home, had failed to properly embalm a body. The body was exhumed approximately seventeen months after the initial burial for a second autopsy performed by the well-known forensic pathologist, Werner Spitz, M.D., who has been involved in a variety of high profile cases, including, most recently, JonBenet Ramsey. The defense rebutted Dr. Sptiz’s testimony with an expert from the University of Tennessee’s Anthropological Research Facility (colloquially known as “The Body Farm”). The jury deliberated for less than an hour. The last demand prior to trial was $2,000,000. Adding to her resume of somewhat unusual fact patterns, Ms. Bamberger also recently prevailed in the Washington Court of Appeals where she defended a tattoo artist who allegedly caused a client to contract an infection by using contaminated ink. In this case of first impression, Ms. Bamberger was successful in convincing the Court of Appeals that based on a review and interpretation of the regulations pertaining to body artists, as well as the Washington statute pertaining to negligence per se, RCW 5.40.050, that her client complied with all state regulations and that the tattoo artist could not be held liable as a matter of law. She also tried a class action suit to verdict in Pierce County, defending a water system supplier against claims that water supplied to a residential development was contaminated by copper piping. In the context of personal injury cases, Ms. Bamberger has tried wrongful death cases, as well as serious physical injury claims on behalf of defendants, through trial. She is adept at resolving cases in all phases, whether that is pre-suit, through mediation or through trial, both bench and jury. In the course of her practice, she has litigated cases in almost half of the counties in Washington State: Asotin, Benton, Cowlitz, Grays Harbor, Island, Jefferson, King, Kitsap, Mason, Pierce, San Juan, Snohomish, Skagit, Spokane, Thurston, Whatcom, and Yakima Counties, as well as the U.S. District Courts of Alaska and the Western and Eastern Districts of Washington and the Ninth Circuit Court of Appeals. Ms. Bamberger also has argued cases before the Washington Court of Appeals, Divisions I and II. She serves as an arbitrator in mandatory arbitration cases and has been appointed to serve as an arbitrator on three-member arbitration panels. Obtained summary judgment in Kitsap County Superior Court based on exculpatory language in release in case involving amputation of fingertip. Defense of a funeral home in a case involving failure to properly embalm. Mother of decedent claimed that client failed to properly embalm her son’s body. The body was exhumed seventeen months after the burial for purposes of a second autopsy to try to determine cause of death (initial autopsy was inconclusive). Mother claimed that because body had not been properly embalmed, contents leaked out of casket and that she came into contact with “pieces” of her son’s body. Mother claimed violation of the Consumer Protection Act (these claims were dismissed on summary judgment) and emotional distress based on the common law tort of interference with a dead body. The case was mediated pre-suit and then again before trial. The last demand was $2,000,000. The jury returned a defense verdict in approximately one-half hour. The case was tried in King County Superior Court. Defense of a tattoo artist who allegedly caused client to contract an infection due to use of contaminated tattoo ink. Plaintiff argued that tattoo artist had violated the regulations for body art practitioners by failing to use “aseptic technique” since once the admittedly sterile needle touched allegedly contaminated tattoo ink (manufactured and supplied by other defendants), the needle was no longer sterile. The case involved issues of first impression, including the interpretation of regulations applying to body art practitioners and RCW 5.40.050, Washington’s negligence per se statute, that applies to “sterilization of needles and instruments used by persons engaged in the practice of body art, body piercing, tattooing, or electrology, or other precaution against the spread of disease, as required under RCW 70.54.350”. Client prevailed on summary judgment and the Washington State Court of Appeals, Div. I affirmed the dismissal. See Chester v. Deep Roots Alderwood, et al., 193 Wn. App. 147, review denied, 186 Wn.2d 1011 (2016). Defense of a security guard company in a wrongful death case. Client entered into contract to post security guard at front door of hotel, following attack of hotel employee the prior week. Guard left his post and assailant returned, again attacking same employee. Employee experienced severe PTSD and never returned to work. Almost exactly one year later, after attending a social event for the first time since attacks, employee suffered fatal heart attack. Employee's family brought wrongful death claim, relying on recent scientific studies causally tying PTSD to fatal cardiac events. Defense prevailed against the wrongful death claim in a bench trial in King County Superior Court. Defense of a bus company in personal injury case where plaintiff claimed that two lumbar fusions and implantation of spinal cord stimulator were due to accident involving bus, notwithstanding two subsequent motor vehicle accidents. Case settled for less than medical bills claimed. Defense of glass tempering business in case where squash glass court shattered upon impact. Plaintiff sustained laceration to leg and claimed arrhythmia caused by sudden blood loss and trauma, necessitating several cardioversions and medication. Defense was able to raise strong defenses to both liability arguments, resulting in favorable settlement for client. Defense of personal injury case where plaintiff claimed he needed a disc replacement surgery. Plaintiff was driver of passenger vehicle; bus driver collided with plaintiff's vehicle. Plaintiff was involved in another minor motor vehicle accident subsequently. Plaintiff claimed serious personal injury. Defense counsel persuaded jury that plaintiff sustained a minor soft tissue injury and commensurate damages were awarded. Defense of a security company in case where plaintiff alleged that guard breached his duty of care by not intervening in assault in mall parking lot. Case was dismissed on summary judgment, affirmed on appeal, with Court agreeing that there was no special relationship between security guard and patron of shopping mall, such that no duty existed and no duty was breached. Defense of an apartment complex against nine claims, including fraud and retaliatory eviction. All but two claims were dismissed on summary judgment. The remaining two claims, negligence based on inadequate lighting, leading to a fall and claimed injuries, and improper impoundment of vehicle, went to a jury trial in Thurston County Superior Court. The jury returned a defense verdict. Article, Over My Dead Body: The Elusive Tort of Interference with Human Remains, NW Lawyer (July/August 2017). Article, Tort for Tattoo: Exposures May Have Artists Seeing Red, CLM Magazine (February 2017). Presenter, “No Deadheading Here: The Power and Weight of Human Factor Expert Testimony”, ATA Forum for Motor Carrier General Counsel, (July 2016). Presenter, “Case Resolution in Product Liability Cases,” The Harmonie Group (April, 2015). Presenter, "I Say Potato, You Say Kartoffel or How Not To Get Lost in Translation," Claims & Litigation Management Alliance (April 2013). Presenter, “Do You Want Frye(s) of Daubert with That?,” Washington Defense Trial Lawyers (October 2013). Presenter, "Alternative Dispute Resolution", Client Seminar (April 2013). Moderator, Effective Life Care Planning / Vocational Rehab, Using Experts to Win Your Damages Case, Washington Defense Trial Lawyers (May 2010). Author, Negligent Entrustment Claims Have No Place in Cases Where Employers Have Admitted Vicarious Liability, Journal of Transportation Law, Logistics and Policy, Vol. 67, No. 4 (Summer 2000).